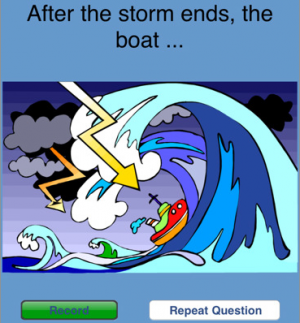 Kids can create their own mini-books with an app called Story Builder. A great site called MomsWithApps reviews Story Builder and lists all of the apps' many features. Briefly described, the app allows kids to answer questions about specific pictures and record their own voices. Children of different ages can pick one of three levels to play. The company that created the app, the Mobile Education Store, also makes the Sentence Builder and Question Builder apps, too.